Iowa State University Economic Development and Industry Relations provides an avenue for students, faculty and staff to create businesses. 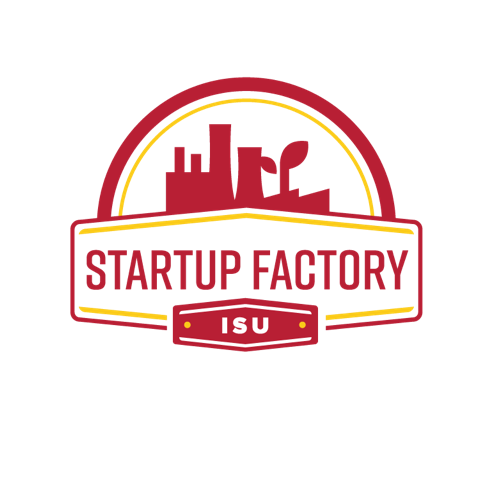 We call it the StartUp Factory: a 52-week intensive program housed at the Iowa State University Research Park (ISURP). An affiliated ten week summer program for students, CyStarters, is also located at ISURP. The StartUp Factory movement is led by serial entrepreneur and Iowa native-turned-Silicon-Valley-success-story Bill Adamowski. Adamowski joined the EDIR team to focus on growing the network of innovation throughout campus. He crafted the framework for the StartUp Factory using best practices from the likes of MIT, Stanford and other successful accelerators. Entrepreneurs in the StartUp Factory will receive formal training, resources, and access to a network of business mentors, advisors, counselors and investors in two 26-week blocks: the first a formal curriculum centered on business validation, and the second, customized to their individual business needs. The goal is to position Iowa State among the top five universities nationally in startups within five years.